COLORADO SPRINGS, Colo. (AP) — Robert Lewis Dear told authorities "no more baby parts" after being arrested for the shooting of a Colorado Planned Parenthood clinic, according to a law enforcement official, part of a rambling statement that investigators are parsing to understand the reasoning behind an assault that left three dead. Colorado Springs police on Sunday said they would not disclose any information on the motive for the attack, a move that guarantees further speculation over the intention of Dear, whom acquaintances described as an odd, reclusive loner, as he prepares for his initial appearance in state court on Monday. 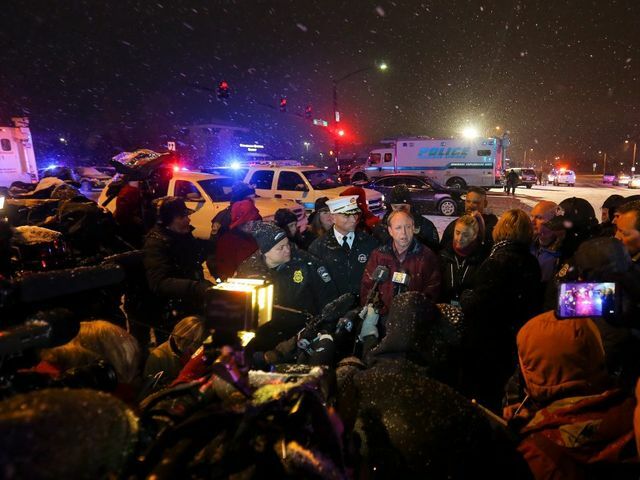 Planned Parenthood cited witnesses as saying the gunman was motivated by his opposition to abortion. 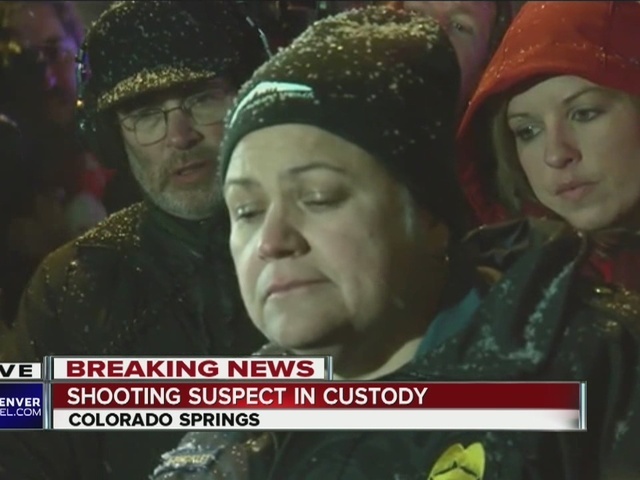 He killed a police officer and two civilians, one of whom was identified by family members Sunday as Colorado Springs woman who had accompanied a friend to the clinic. The father of Jennifer Markovsky, 36, spoke to The Denver Post. "She was the most lovable person," her father, John Ah-King told the newspaper from his home in Hawaii. "So kind-hearted, just always there when I needed her." The third victim has been identified as Ke'Arre Stewart, an Army veteran who served in Iraq and the father of two children. "He was a stand-up guy," friend Amburh Butler said. "If you were hungry, he fed you. If you were cold and needed a ride, he was just there. He was a good friend and an amazing listener." The law enforcement official who recounted Dear's statement spoke on condition of anonymity because the official was not allowed to publicly discuss the ongoing investigation. The official said the "no more baby parts" comment was among a number of statements he made to authorities after his arrest, making it difficult to know his specific motivation. Still, U.S. Attorney John Walsh said investigators have been in touch with lawyers from the Justice Department's Civil Rights and National Security divisions, suggesting officials could pursue federal charges in addition to state homicide ones. One possible avenue is the 1994 Freedom of Access to Clinic Entrances Act, which makes it a crime to injure or intimidate clinic patients and employees. The attack thrust the clinic to the center of the debate over Planned Parenthood, which was reignited in July when anti-abortion activists released undercover video they said showed the group's personnel negotiating the sale of fetal organs. Planned Parenthood has denied seeking any payments beyond legally permitted reimbursement costs for donating the organs to researchers. Still, the National Abortion Federation says it has since seen a rise in threats at clinics nationwide. Vicki Cowart, the regional head of Planned Parenthood, said Sunday on ABC's "This Week" that the organization has faced hateful speech. "I can't believe that this isn't contributing to some folks, mentally unwell or not, thinking that it's OK to — to target Planned Parenthood or to target abortion providers," she said. Colorado Gov. John Hickenlooper on CNN's State of the Union called the attack "a form of terrorism" and said people need to be mindful of "inflammatory rhetoric." Anti-abortion activists, part of a group called the Center for Medical Progress, denounced the "barbaric killing spree in Colorado Springs by a violent madman" and offered prayers for the dead and wounded and for their families. Cowart said the gunman "broke in" to the clinic Friday but didn't get past a locked door leading to the main part of the facility. She said there was no armed security when the shooting began. He later surrendered to police after an hours long standoff. Nine other people were hospitalized, including five officers. Three people were killed; Markovsky, University of Colorado-Colorado Springs officer Garrett Swasey and a third person whose identity the Associated Press could not confirm Sunday. Cowart said all 15 clinic employees survived and worked hard to make sure everyone else got into safe spaces and stayed quiet. Neighbors who lived beside Dear's former South Carolina home say he hid food in the woods as if he was a survivalist and said he lived off selling prints of his uncle's paintings of Southern plantations and the Masters golf tournament. John Hood said Saturday that when he moved to Walterboro, South Carolina, Dear was living in a doublewide mobile home next door. He pointed to a wooden fence separating their land and said he put it up because Dear liked to skinny dip. Hood said Dear rarely talked to him, and when he did, he tended to offer unsolicited advice such as recommending that Hood put a metal roof on his house so the U.S. government couldn't spy on him. "He was really strange and out there, but I never thought he would do any harm," he said. James Russell, another former neighbor in a rural area of North Carolina where Dear lived part time, said: "If you talked to him, nothing with him was very cognitive." Associated Press writers Kristen Wyatt and P. Solomon Banda in Colorado Springs; Alina Hartounian in Phoenix; Michael Biesecker in Black Mountain, North Carolina; Jeffrey Collins in Walterboro, South Carolina; David Crary in New York; Brian Melley in Los Angeles; and Colleen Slevin and Dan Elliott in Denver contributed to this report.